The perfect business card case for golf fanatics, this business accessory will make you the envy of the links. It features a matte finish cover on a highly polished silver base. 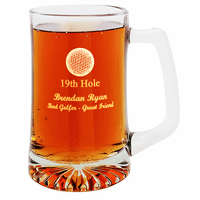 It has a decorative golf ball design on the bottom left hand corner. 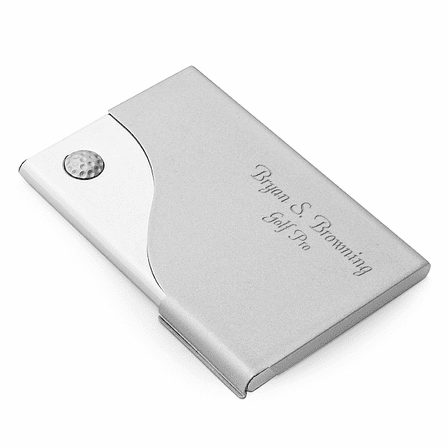 This card case holds up to fifteen cards and you can add a personal touch with free engraving in the upper right hand corner. 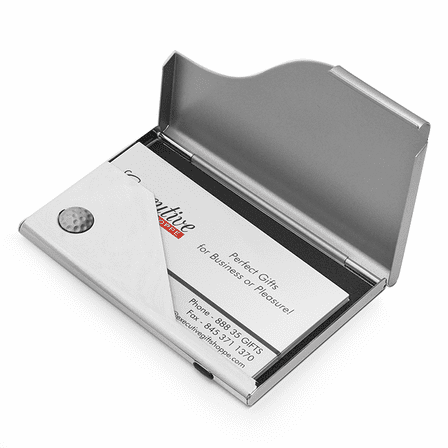 A golf theme business card case is a unique gift for your favorite duffer. Dimensions: 3 3/4 X 2 1/2 X 1/4"
Where can I put what I need to have engraved? You'll need to check the "Personalize" box right above the Add to Cart button on the item page before adding it to your shopping cart. Please let me know if you have any problems with this. 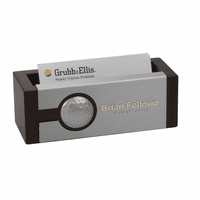 Can this business card holder be engraved next to the golf ball? Also can I get a sample? We don't normally do the engraving there but we'd be happy to for you. 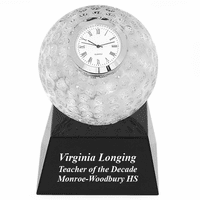 Just specify in the comments section of the checkout page that you would like the engraving by the golf ball. For a sample, you would just have to order one off our site. Very pleased! I ordered this as a gift and it was perfect! Very elegant and professional! Great price! Cute card holder. Had it engraved for a nice touch. Looked great! Sent this business card holder to my golf pro son in Texas. Loved it! Compact, attractive and priced well. Came in very fist and product is great! I gave to my coworker for farewell and he loved it. I purchased this business card holder to thank a major donor to our golf tournament. When it arrived,I was so pleased by its appearance. This morning I received a lovely thank you note from the giftee.